Jack joined Watsi on November 28th, 2016. Two years ago, Jack became the 2625th member to automatically support a new Watsi patient every month. Since then, 2,452 more people have become monthly donors! Jack's most recent donation traveled 8,800 miles to support Pov, a man from Cambodia, to fund nerve repair surgery. Jack has funded healthcare for 30 patients in 11 countries. Pov is a 31-year-old gas seller from Cambodia. He likes to take care of the children and help out around the house, and in his free time he likes to watch TV and listen to music. Two years ago, Pov fell off his motorcycle and injured his left shoulder. He has been diagnosed with a brachial plexus injury on his left side. The brachial plexus is a nerve network that transmits signals from the spine to the shoulder, arm, and hand. Injuries to this nerve network can result in loss of function and sensation. He is unable to lift his arm and has to stop working at the rice field. Pov traveled to our medical partner's care center to receive treatment. On March 18, he will undergo a brachial plexus repair surgery. After recovery, he will be able to regain full range of motion in his arm. Our medical partner, Children's Surgical Centre, is requesting $637 to fund this procedure. He says, "I hope that after my surgery I will be able to use my arm again and go back to work." Samuel is a man from Kenya. He lives with his grandson. Samuel does not have clear hearing, and his hearing has been deteriorating for the past four years. He was seen by an audiologist and had hearing aids recommended. Fortunately, he is now scheduled for receive them on February 5. Now he needs help raising $929. Samuel says, “My prayer is to get the hearing aids. I rely on gestures to communicate even in church and it bothers me a lot." Yin is a rice farmer from Cambodia. She has three sons, four daughters, and fifteen grandchildren. She likes to listen to monks pray on the radio and visit her local pagoda. 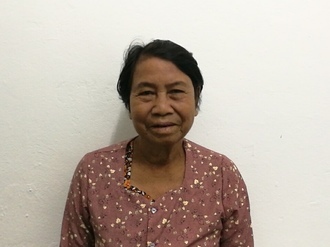 Three years ago, Yin developed a cataract in each eye, causing her pain and photophobia. She has difficulty seeing things clearly, recognizing faces, and going anywhere outside. When Yin learned about our medical partner, Children's Surgical Centre, she traveled for two hours seeking treatment. On December 5, doctors will perform a phacoemulsification surgery and an intraocular lens implant in each eye. After recovery, she will be able to see clearly. Now, she needs help to fund this $398 procedure. She says, "I hope to take care of my grandchildren and go for walks after the operation." Favour is an infant from Kenya. She is the youngest in a family of four children. Favour was born with spina bifida, a type of neural tube defect in which the spine does not properly close around the spinal cord. Without treatment, Favour is at risk of lower-limb paralysis, infection of the exposed nervous tissue, development of tethered cord syndrome, and possible developmental delays. Our medical partner, African Mission Healthcare Foundation, is requesting $1,097 to cover the cost of Favour's spina bifida closure surgery. The procedure is scheduled to take place on October 29. This procedure will hopefully spare Favour from the risks associated with her condition, instead allowing her to grow and develop along a healthy trajectory. “I look forward to seeing my daughter healthy just like her siblings,” shares Favour’s mother. Aung Si is a 51-year-old man from Thailand. His cousin runs a small tea shop, where Aung Si helps as a waiter in exchange for food and boarding. In April 2017, Aung Si started to experience pain in the right side of his abdomen. One day in April 2018, he suddenly felt a severe pain. He visited our medical partner's care center, where he received an ultrasound and received medication. According to the ultrasound results, he has a stone in his gallbladder. Aung Si has been advised to undergo a cholecystectomy to treat the condition. If left untreated, Aung Si's symptoms will continue to worsen and put him at risk for further health complications in the future. 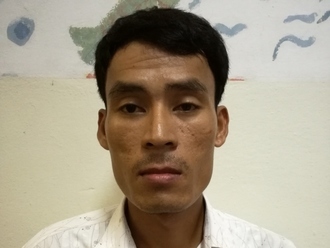 After seeking treatment through our medical partner, Burma Children Medical Fund (BCMF), Aung Si is scheduled to undergo his cholecystectomy on August 27. BCMF is requesting $1,500 to cover the total cost of Aung Si's procedure and care. “If I feel better after surgery I will help in my cousin’s tea shop as much as I can and I will help my sister on her farm in Burma,” says Aung Si. James is a man from Kenya. He is married and has three children. In February 2015, James was in a road accident and sustained a fractured femur of his right leg. He underwent surgery and had hardware applied to correct the fracture. Last month, he underwent an x-ray that showed that the plate had broken. He needs to undergo another repair surgery. Right now, it is difficult for him to walk, and he is in chronic pain. Fortunately, surgeons at our medical partner can help. On July 3, James will undergo a fracture repair procedure, called an open reduction and internal fixation. This procedure will help him walk easily again and he will be able to go back to work and provide for his family. Now, our medical partner, African Mission Healthcare Foundation, is requesting $998 to fund this procedure. “I hope Watsi will help me so that soon I can go back to work and support my family,” said James. 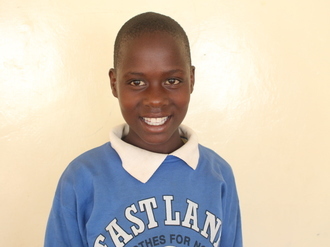 Evenlight is a young student from Tanzania. She is the first born in a family of four kids. Unfortunately, she lost her father when she was three years old. She is in her final year of primary school education. For six years, Evenlight has been experiencing regular infections, trouble breathing, and sleep apnea. Frequent illness causes her to miss school. Evenlight was recently diagnosed with enlarged tonsils, which, if not treated, will cause her symptoms to persist and possibly intensify over time. Our medical partner, African Mission Healthcare Foundation, is requesting $633 to fund a tonsillectomy for Evenlight, which is scheduled to take place on May 17. Surgeons will remove her tonsils, hopefully relieving Evenlight of her symptoms and helping her live more comfortably. Evenlight’s mother says, “I wouldn’t want my daughter’s condition to hinder her from her studies. I would love for her to be able to study without being sick and be able to pass and go to high school." Ngun is a rice farmer from Cambodia. She has three daughters and ten grandchildren. She likes to listen to monks pray on the radio and participate in ceremonies. 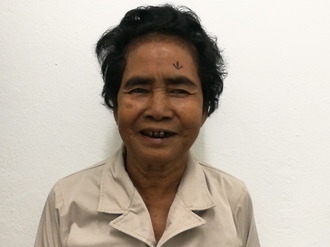 One year ago, Ngun developed a cataract in her left eye, causing her irritation, blurred vision, and photophobia. She has difficulty seeing things clearly, recognizing faces, and going anywhere outside. When Ngun learned about our medical partner, Children's Surgical Centre, she traveled for four hours seeking treatment. On May 3, doctors will perform a small incision cataract surgery and an intraocular lens implant in her left eye. After recovery, she will be able to see clearly. Now, she needs help to fund this $211 procedure. She says, "I look forward to recognizing my loved ones faces again. I hope to lead an independent life."